The Beverley Building Society in East Yorkshire is delighted to announce their win of ‘Best local building society’ from the Mortgage Finance Gazette Awards for 2016. 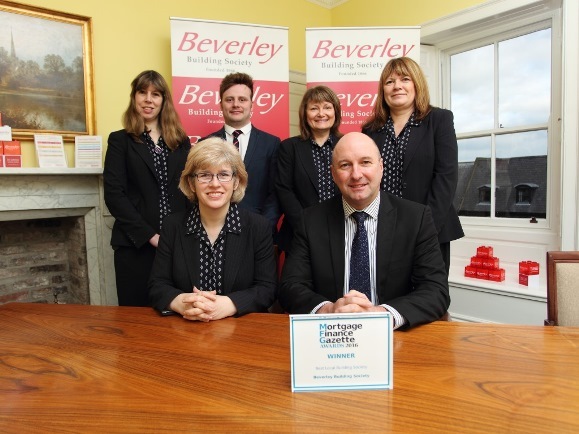 This gets the team at Beverley Building Society off to a great start for the year as it celebrates its 150th Anniversary. An annual programme of forthcoming events and promotional activity involving its members and local businesses will be announced shortly as well as the Society’s main charity partner. “In addition it reflects our ethos which continues to differentiate us from other lenders with a commitment to providing a professional and friendly service to all our customers. “The Judges sought to acknowledge the work and initiatives of lenders and their innovation, use of technology, customer service, community services, arrears management, anti-fraud, conveyancing and legal work.